S. Srinivasa Iyengar, a distinguished lawyer, Indian freedom fighter and political leader was born in the year 1874. 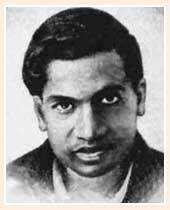 Iyengar was trained to develop into a lawyer, with his specialization in constitutional law. In the year 1898, he commenced his practice before the Madras High Court in 1898, and rose to the profession in a short time. Besides, being a lawyer, he had a deep knowledge of Hindu Dharmasastra. His edition of Mayne's Hindu Law published in the year 1939 is taken as a classic. Iyengar resigned from the office of Advocate General at the initiation of Non-Cooperation Movement to join the Indian National Congress (INC). In the year 1926, he even presided over the Guwahati session of the Congress as the president. He was instrumental in publishing of the Swaraj Constitution, in the year 1927, that outlined a federal plan of future indian government. On May 19th 1941, he passed away at his Chennai resident.